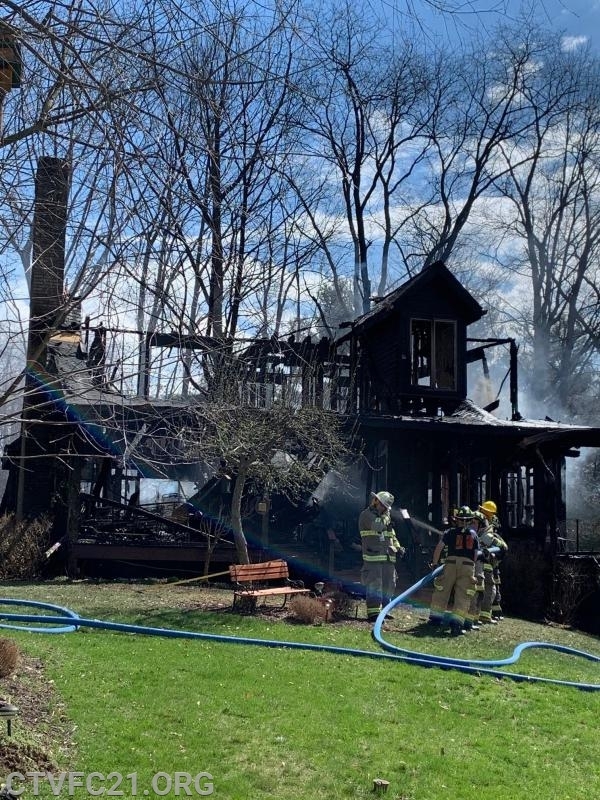 CTVFC was dispatched at 1010 on 4/9/2019 to assist Adams Area FD for reported leaves on fire under a porch. 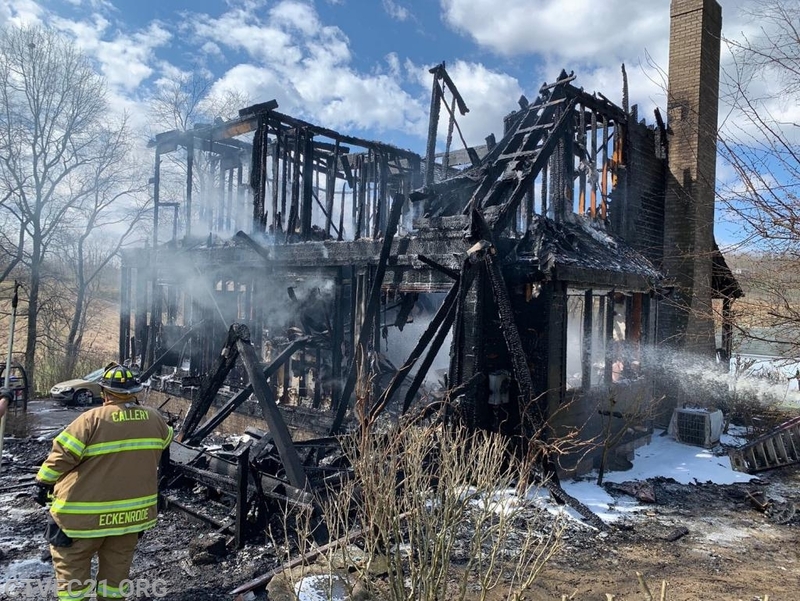 Additional report at 1014 was heavy smoke could be seen in the area and upon arrival, house had significant fire showing on the B/C corner of the house. The fire spread quickly and fire attack went defensive. Fire was reported extinguished at 1237 and crews cleared shortly after 1300. Our thoughts are with the family that lost their home.